Figure 1: The Mona Lisa by Leonardo da Vinci. The background becomes increasingly blue with distance. 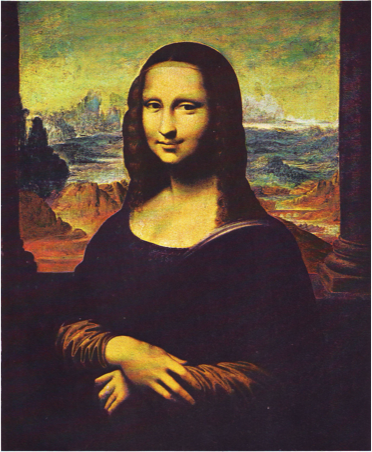 Behind the enigmatic smile of the Mona Lisa lies a landscape, reddish in the foreground but becoming increasingly blue with distance (Figure 1). This use of blueness to give perspective for distant objects has been a technique well known to artists for centuries. Leonardo da Vinci was the first to systematically study this optical effect and observed that the ‘blueness’ appeared to be proportional to distance. But this phenomenon is not just an artists’ trick. It is regularly seen today and is particularly clear around forested mountains. Indeed many mountain ranges are named after the effect: the Blue Mountains in Australia, the Blue Ridge Mountains and Smoky Mountains in America. Figure 2: Frits Warmolt Went (1903-1990). So what is it that’s been turning the air blue for centuries? For the answer we turn to a little known Dutch biologist, Frits Warmolt Went (Figure 2). Went’s early work centred around plant pathology and plant hormones, but later he became interested in the interactions of plants with their environment. In 1960 Went published a paper in Nature titled ‘Blue Hazes in the Atmosphere’, concerning the nature of the blue hazes seen over forests. Went realised that the physics behind the blueness of the haze was the same as the answer to the question ‘Why is the sky blue?’. So let’s begin here. Light travels in straight lines. This is one of the first things we learn in science. However, when sunlight passes through the atmosphere, some of it is thrown off its straight path by interactions with molecules and small particles. The light is scattered in all directions. Blue light is scattered more than red light (because it has a shorter wavelength) and hence the sky appears blue to the observer at the ground. We are seeing the scattered sunlight. This process is known as Rayleigh scattering. Without it the sky would appear black except for the blindingly white sun. The same process is at work with Went’s blue haze. Forests are constantly emitting large amounts of volatile organic compounds (VOCs) – the same emissions that give forests their characteristic smell. The VOCs are emitted from trees as gases. 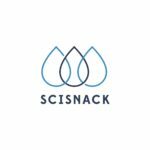 However, through oxidation reactions in the atmosphere and interactions between the VOCs, they can rapidly grow, coagulate and become incorporated into liquid or solid aerosols. Rayleigh scattering (that gives us the blue sky) occurs when the ratio of the particle diameter (d) to the wavelength (λ) of light is less than about 0.1. For the scattering of visible light this means that the particle diameter must be less than about 50 nanometres. This is the case for the initial VOCs emitted and their early stage oxidation products. But this is not the whole story. Went notes that various different coloured layers of haze are often visible above forests with blue at the bottom and greys and browns above. This can be explained by considering the growing particle size during different stages of oxidation. The higher above the forest that particles are, the larger they are likely to be. When d/λ > 0.1 another type of scattering, known as Mie scattering, takes over. Mie scattering is almost independent of wavelength and hence leads to a white haze rather than the blue haze of Rayleigh scattering (Figure 3). Further interactions and absorption of light may lead to darker brown hazes. 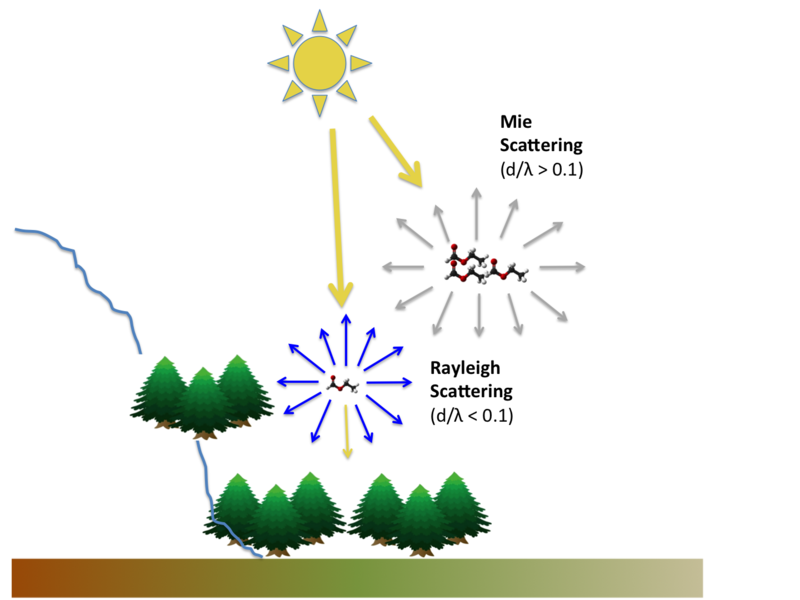 Figure 3: Rayleigh scattering and Mie scattering caused by VOCs emitted by forests. Today, Went’s particles are known as secondary organic aerosol (SOA), and work on SOA has become one of the most active fields in atmospheric science. Of particular interest is the effect of SOA on the atmosphere at a regional scale, i.e. the effect of the biosphere on climate. Went touches on this in his paper too. SOA can scatter and reflect sunlight (the direct aerosol effect), acting to cool the surface. They can also act as cloud condensation nuclei leading to the formation of brighter clouds that reflect more sunlight (the first indirect aerosol effect), and increasing cloud lifetime, changing rainfall patterns (the second indirect aerosol effect). However, larger particles can absorb sunlight, heating the surrounding air. So the overall climatic effects of SOA are complex, dependent on the particle size and chemical composition, leaving us still with much to understand. Went was a pioneer. 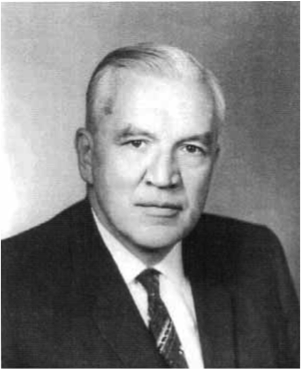 In his work he became one of the first to consider the relationship between the biosphere and the atmosphere. This was a field that would remain largely forgotten, lost at the boundary of disciplines, for decades to come. The science was simply too difficult. Only recently, with the ability to measure very low concentrations of VOCs and to extrapolate sparse observations over the entire globe using global models, has it become an area of intensive research. And the more we peer through the haze, the clearer it becomes just what a large impact the biosphere has on the atmosphere. Which brings us to the question of why are plants producing these compounds at all? But that can wait for another Snack. Tagged aerosol, biogenic emissions, blue haze, forest, mie, rayleigh, scattering, VOCs, Went.